Sydney is one of the most picturesque cities in the world. In the summer, the scenery is warmer and more vibrant, thanks to the abundance of parks, beaches and common outdoor spaces spread across the city. If you want a glimpse into Sydney’s past, the Rocks is a great place to visit. The precinct is filled with cobblestone laneways and sandstone buildings of Sydney’s oldest neighbourhood that once housed sailors, wharf labourers and publicans. Built in 1830, Lord Nelson Brewery Hotel is one of the most famous pubs amongst the locals. The Henry Deane Rooftop Bar, on the other hand, gives you the best panoramic view of the harbour. Cockatoo is the biggest and most vibrant of all harbour islands in Sydney. Originally an Aboriginal fishing ground, the island used to be the home of a naval shipyard in the second World War as well as a reform school for girls. Today, organisers hold several walking tours and cultural events at Cockatoo, including the 21st Biennale of Sydney (from 16 March to 11 June). The best way to make the most of your experience in the island is to rent a vehicle for the day or book a glamping tent for an excellent view of the sky, both day and night. Centennial Parklands has over 200 hectares of gardens, ponds and playgrounds in the – a day won’t be enough to experience it all. Just like any other park in the world, Centennial Parklands is most alive in the daytime. Joggers and cyclists can be seen coasting along paved pathways while soaking up the breeze and greenery. Tourists also frequent the park to see Sydney’s diverse birdlife, starting from purple swamphens to sulphur-crested cockatoos. It’s definitely worth a visit. 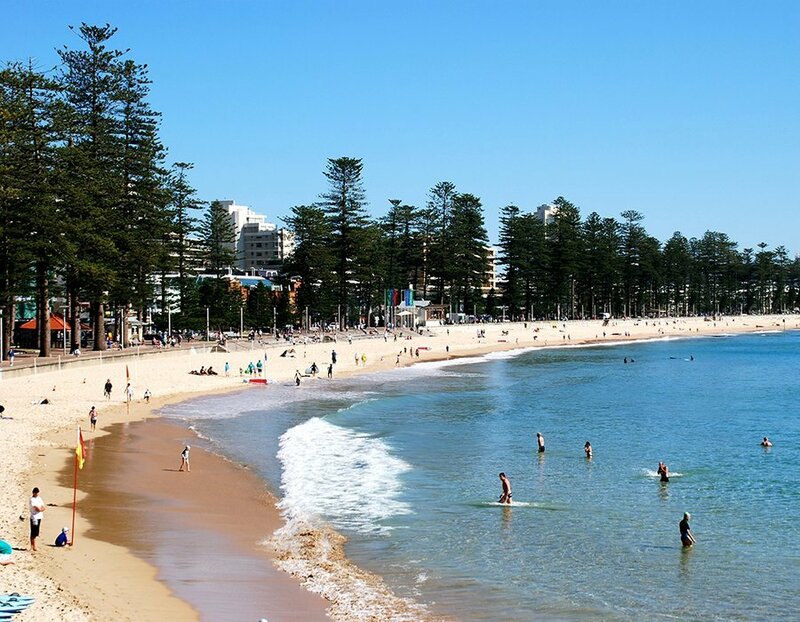 If you’ve seen the palm-fringed cove from the Circular Quay ferry, that’s the renowned Shelly Beach. It is one of Sydney’s most popular shore diving and snorkelling sites because of its beautiful and diverse marine environment. Watch out for sightings of cuttlefish, cardinal fish and nudibranchs. After a long day of swimming, visitors enjoy a view of the gorgeous sunset at dusk. Sydney is the spot for breathtaking beach walks. The locals’ favourite is the Hermitage Foreshore Walk that begins at Nielsen Park, Vaucluse and passes through a grove of gum trees. Along the way, you’ll see fellow hikers, water dragons sun-bathing on rocks and brave cliff divers. From the walk, you can access Milk Beach, a small isolated beach offering a stunning view of the Opera House and Harbour Bridge. Don’t forget to end your hike with a warm cup of tea at Vaucluse House Tearooms. Aptly named after the region’s blue haze, the Greater Blue Mountains world heritage area is a breathtaking, otherworldly landscape of rock cliffs, sandstone river gorges, as well as ancient Australian animals and plants. The National Pass track begins from the Wentworth Falls Picnic Area. If you’re going by car or mini bus, the Blue Mountains is only an hour-and-a-half-long journey from central Sydney. Locals and tourists can grab a snack and a fruit drink at the Yellow Deli in Katoomba. Mona Vale Coaches offers safe and comfortable minibuses for hire in Sydney. Avoid the hassle of last-minute scheduling and book with us today.